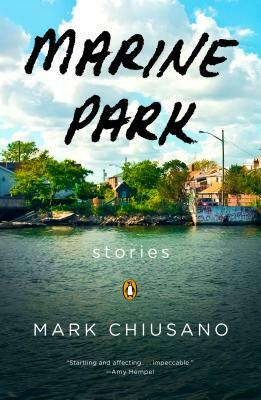 Marine Park—in the far reaches of Brooklyn, train-less and tourist-free—finds its literary chronicler in Mark Chiusano. Chiusano’s dazzling stories delve into family, boyhood, sports, drugs, love, and all the weird quirks of growing up in a tight-knit community on the edge of the city. In the tradition of Junot Díaz’s Drown, Stuart Dybek’s The Coast of Chicago, and Russell Banks’s Trailerpark, this is a poignant and piercing collection—announcing the arrival of a distinct new voice in American fiction. Mark Chiusano is the author of Marine Park, which received an honorable mention for the PEN/Hemingway Award. His fiction and essays have appeared in Guernica, Narrative Magazine, Five Chapters, Harvard Review, and online at Tin House, NPR, The Atlantic, and The Paris Review, among other places. He was born and raised in Brooklyn. Find him at markchiusano.com or @mjchiusano.